Dawn in the Bullpasture Gorge, George Washington National Forest, Williamsville, VA.
Sir William Berkeley, Governor of Virginia, was informed by the Indians, in 1648, ” that within five dayes journey to the Westward and by South there is a great high mountaine, and at foot thereof great Rivers that run into a great Sea“. 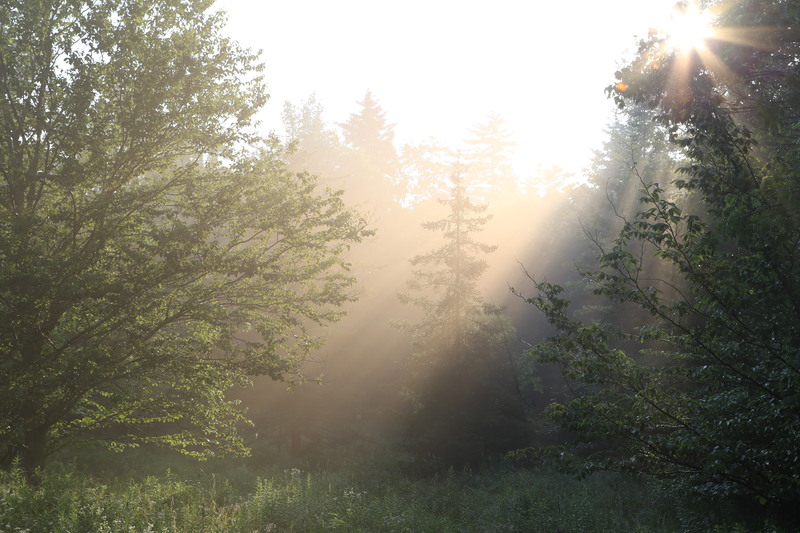 First rays of sun reach the forest floor as fog is burned off, Bullpasture Gorge. 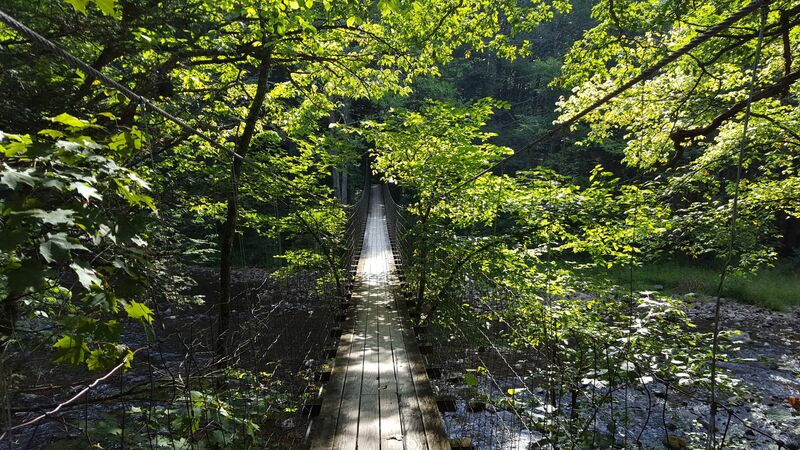 “An Occurrence at Bullpasture River Footbridge”, funny how a certain short story can get into your consciousness and be invoked all these years later, here’s to Ambrose Bierce! 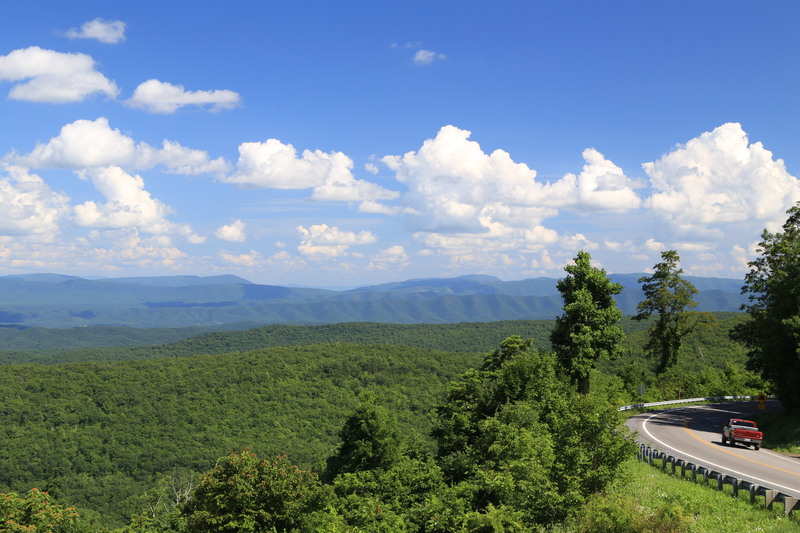 All of the locations featured in this photo gallery lie between the “North Ridge of the Devil’s Backbone”, and “The Allegheny Ridge of Mountains”, a mountainous area that spans the border of Virginia and West Virginia. Historical marker along Rt. 678, Clover Creek, VA, view is looking south. Most likely the Indians were Shawnee or Seneca, two of the most dominant tribes in this rugged region during the tumultuous French and Indian War period when all hell broke loose along what was then, the western frontier of the American Colonies. 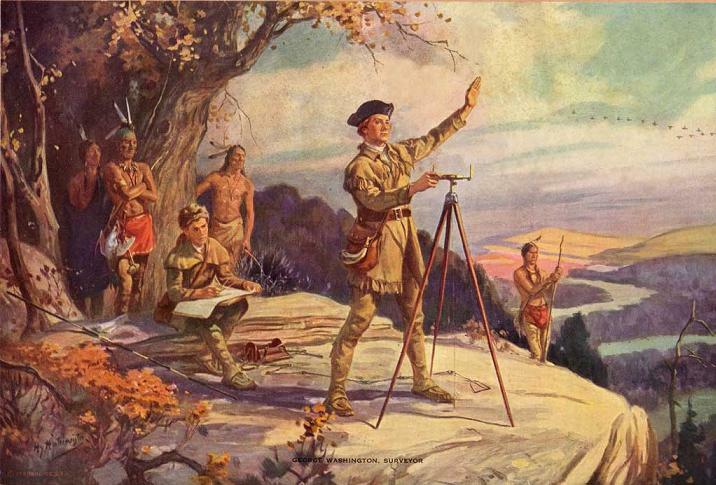 “That for matter of their better knowledge of the Land they dwell in, the Planters resolve to make a further Discovery into the Country West and by South up above the Fall, and over the Hills, and are confident upon what they have learned from the Indians, to find a way to a West or South Sea by land or rivers, and to discover a way to China and East Indies or unto some other Sea that shall carry them thither; For Sir Francis Drake was on the back side of Virginia in his voyage about the World in 37 degrees just opposite to Virginia, and called Nova Albion, and by the Natives kindly used: And now all the question is only how broad the Land may be to that place from the head of James River above the Falls, but all men conclude if it be not narrow, yet that there is and will be found the like rivers issuing into a South Sea or a West sea on the other side of those Hills, as there is on this side when they run from the West down into a East Sea after a course of 150 miles:” -“A Perfect Description Of Virginia”, published in London, 1649, author unknown. 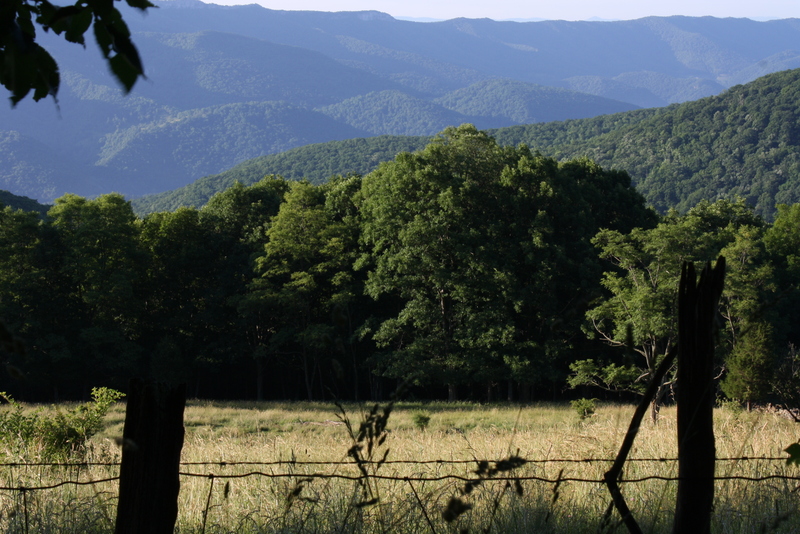 Blue Grass Valley, looking north from a field outside of Hightown, Virginia. In the middle distance is Snowy Mountain, in West Virginia. 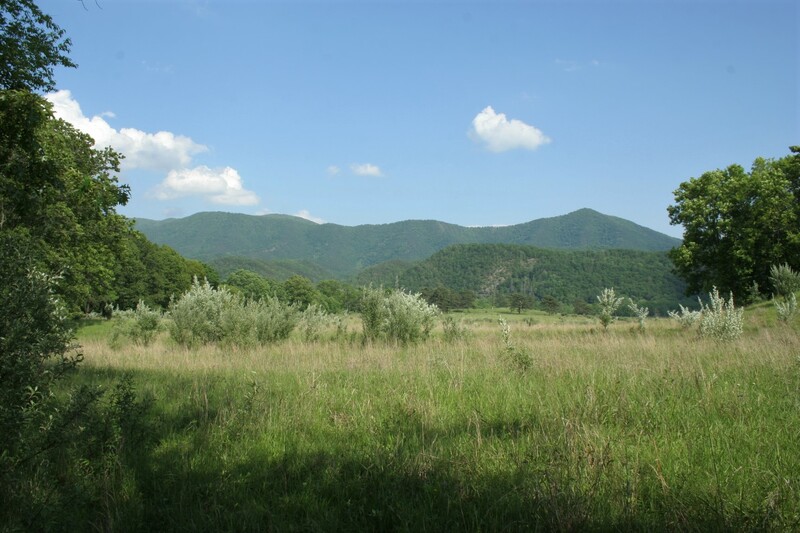 The hillside on the left foreground of the picture was used in the Civil War movie, “Sommersby“, in the opening scene when Richard Gere buries the body of his lookalike namesake. I scouted this location for that movie. When I took the British director, Jon Amiel to go look at it I pointed out Snowy Mountain in the distance, thinking it would enhance the setting to see it, he brushed me off and said flatly, “I don’t care about the mountain”. And sure enough in the movie, Snowy Mountain is barely seen, its mostly all closeups. Director’s prerogative of course but what a waste in my opinion not to see this sublime backdrop. I bet Raul Walsh would’ve made damn sure to see it at some point! 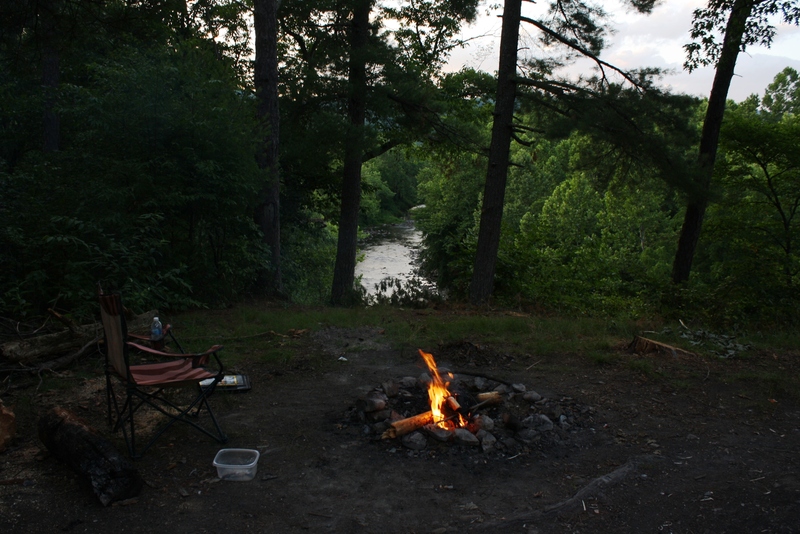 “The Heads of the Branches of the Rivers interfere and lock one within another, which I think is best expressed after the Manner that an Indian explained himself once to me, when I enquired how nigh the Rivers of Carolina, Virginia, and Maryland arose out of the Mountains, from those that ran Westerly on the other Side of the Mountains, he clapt the Fingers of one Hand ‘twixt those of the other, crying, they meet thus; the Branches of different Rivers rising not past a hundred Paces distant one from another: So that no Country in the World can be more curiously watered. But this Conveniency, that in future Times may make her like the Netherlands, the richest Place in all America, at the present I look on the greatest Impediment to the Advance of the Country, as it is the greatest Obstacle to Trade and Commerce.” -“A LETTER FROM Mr. JOHN CLAYTON Rector of Crofton at Wakefield in Yorkshire, TO THE ROYAL SOCIETY, May 12. 1688. Giving an Account of several Observables in Virginia, and in his Voyage thither, more particularly concerning the Air. Mountainside garden with protective deer fence, Top of Allegheny, West Virginia. 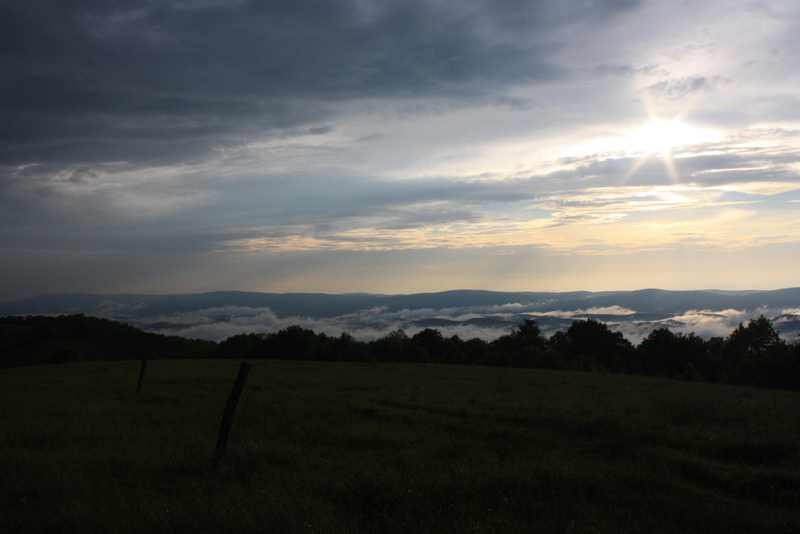 Twilight-time is fast approaching after an early evening deluge over the Civil War battlefield site of Camp Allegheny. 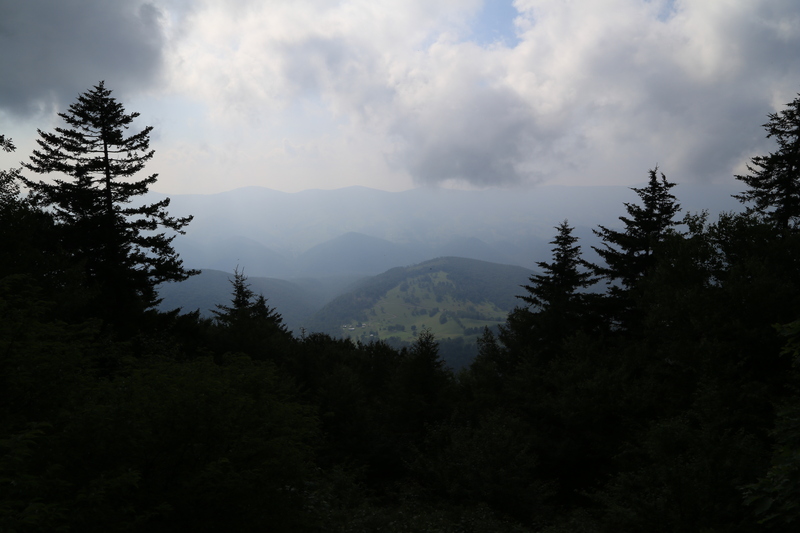 At 4,300 feet above sea level it was the highest elevation combat action of the war. Rt. 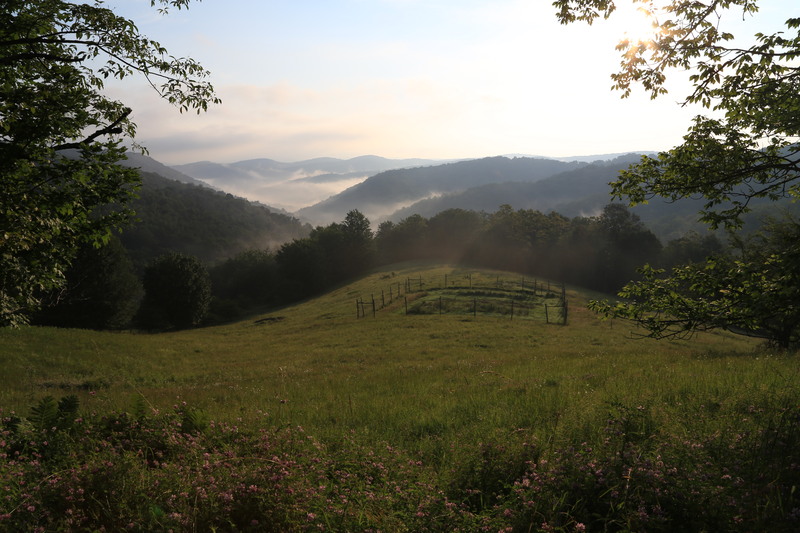 39, looking east from the summit of Warm Springs Mountain just below Flag Rock, Warm Springs, VA.
Summer blooms come late in the high country. 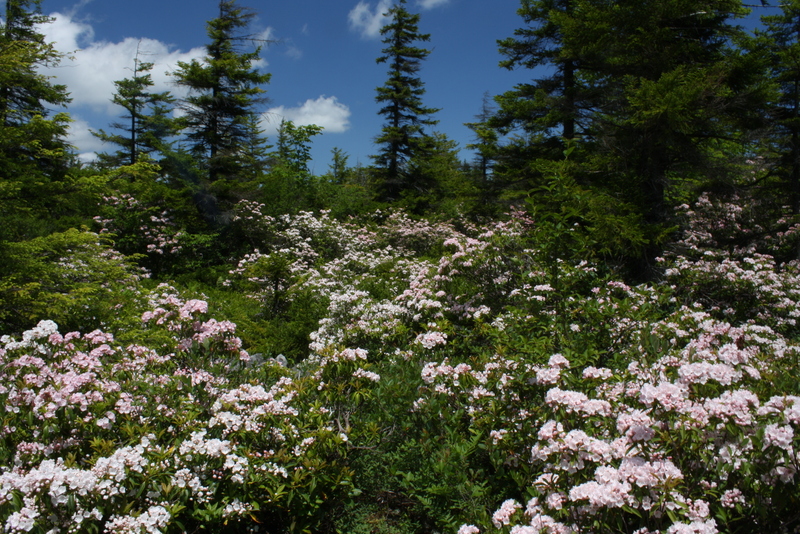 Flowering mountain laurel along the banks of Red Run, atop Cheat Mountain, West Virginia. 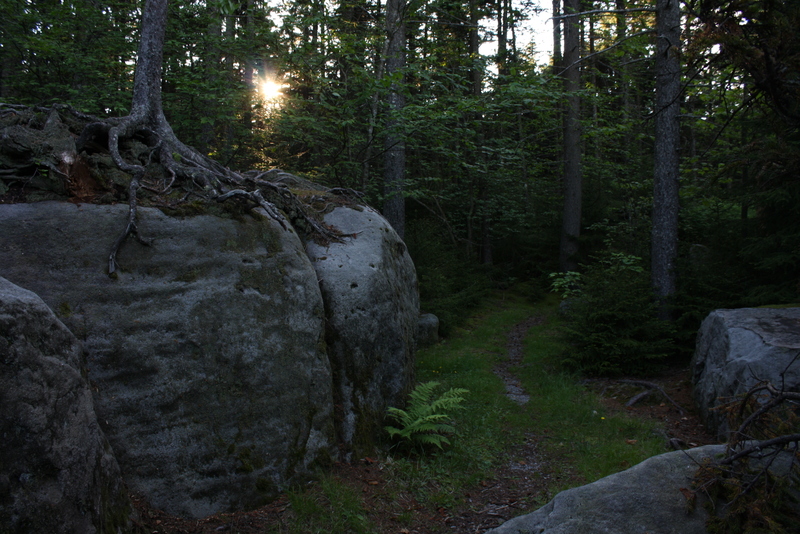 Spongy, moss-covered ground beneath a mature (but not old-growth!) grove of spruce and balsam fir trees, Cheat Mt. 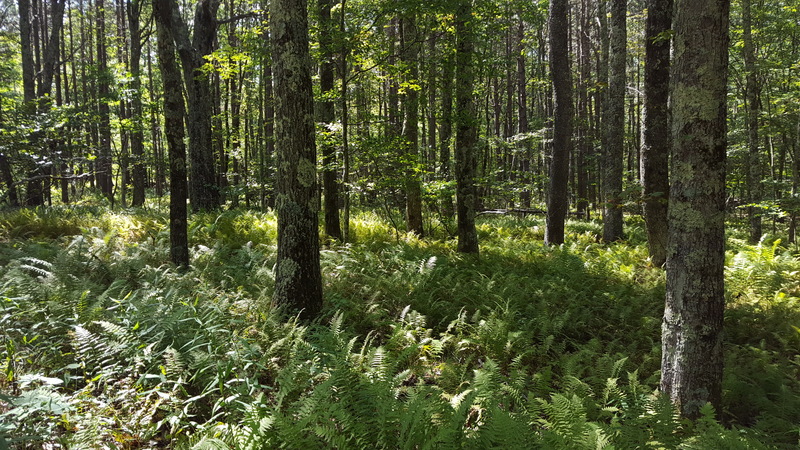 Hard to believe that this forest was clear-cut just after WWII, the old growth was first cut in the 1870’s. 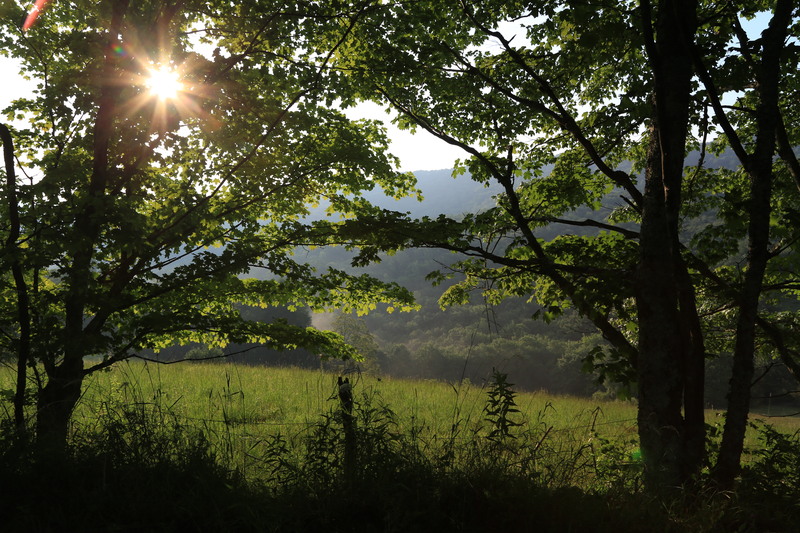 West Virginia’s mountain forests helped feed America’s explosive growth during the Industrial Revolution and still supports a healthy lumber industry today, although much diminished and far better managed compared to the boom days of old. 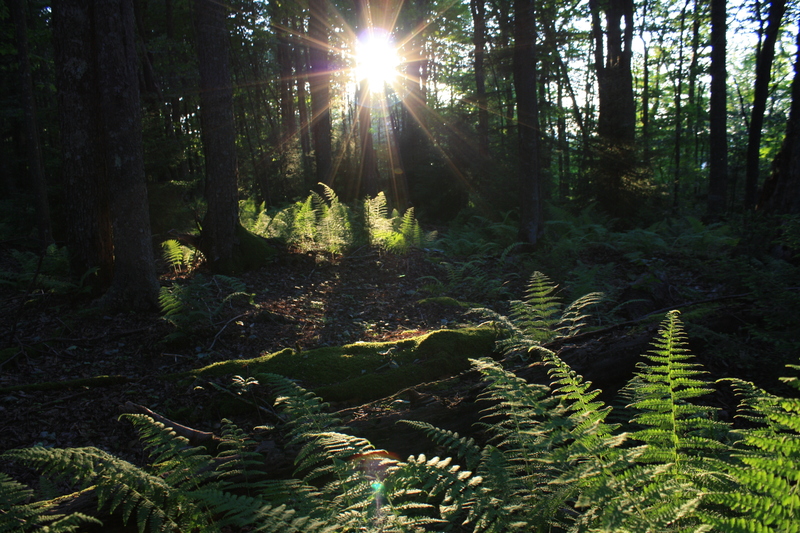 Reforestation works, it just takes time, decades in fact. 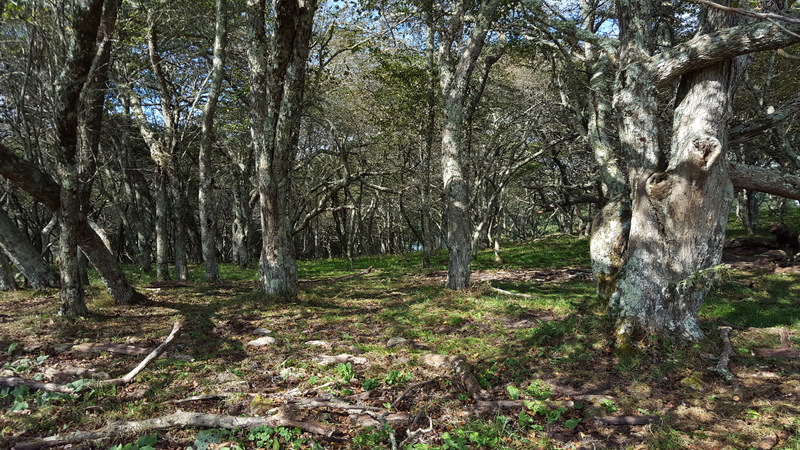 Most of the trees in this photo are about 50-60 years old. 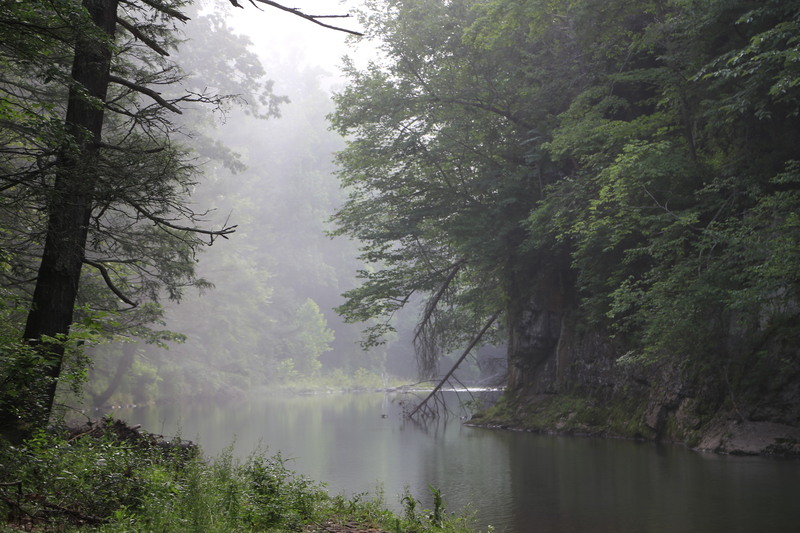 Seeing is believing, this serene setting on Cheat Mountain was anything but just 50 years ago when it was logged, then strip mined for the underlying coal. Return here some quiet morning in the 2030’s and the clearing itself will most likely be long gone, as the surrounding forest continues to grow and reclaim this once ravaged mountain. 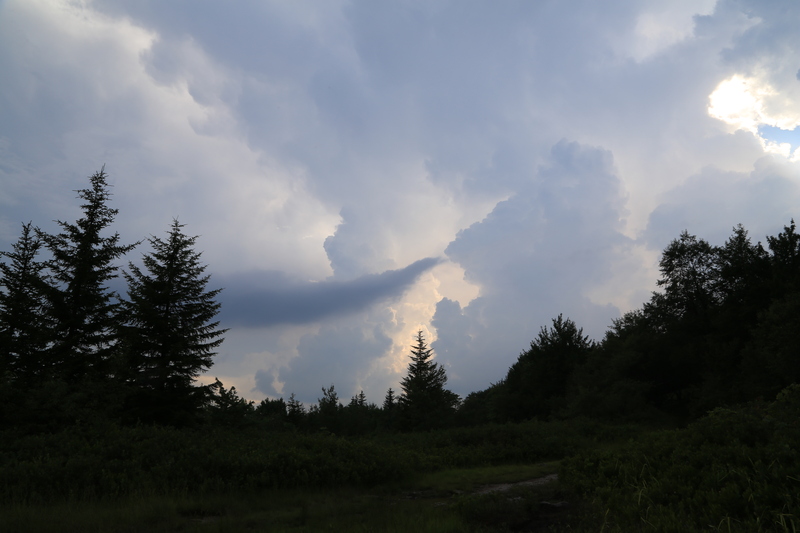 Billowing cumulus formations rise above the Dolly Sods Wilderness Area, WV, a wind-swept area atop the Allegheny Plateau. It sounded like the Gods were bowling overhead when I took this picture as thunder claps echoed all around me, followed by a brief downpour and a cloud to cloud lightning display. I can handle glowing clouds, its the cloud to ground lightning strikes that I try to avoid! 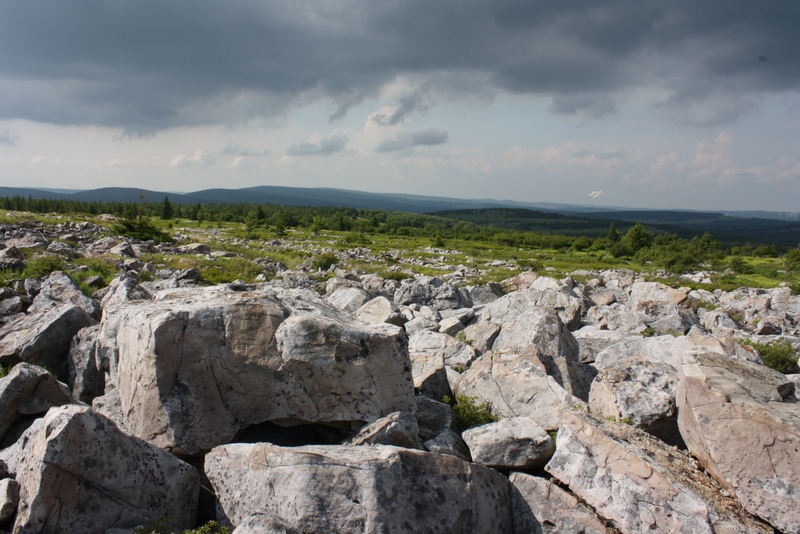 Much of the Dolly Sods is characterized by heath bogs and boulder fields, sure makes for tough but rewarding hiking. View is looking north, the white plumes of smoke are from the tall stacks of the Mount Storm coal-fired power plant. 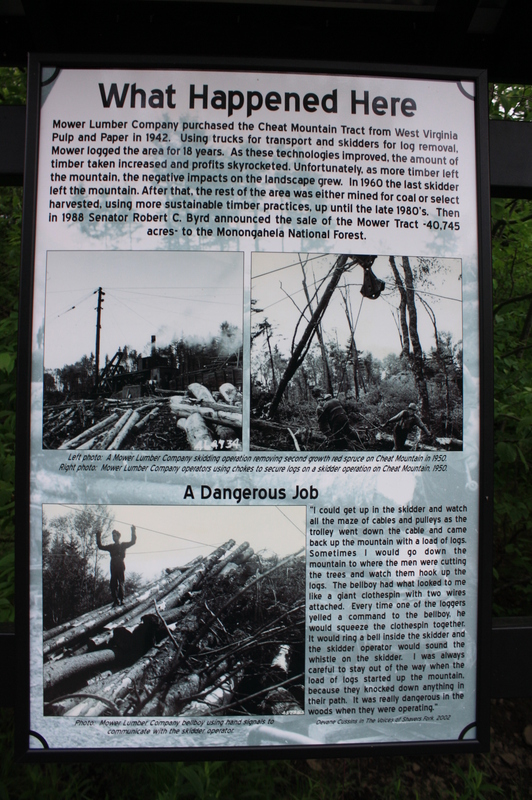 The U.S. Army conducted tank and artillery practice up here back in the 30’sand 40’s before the forest service took over. 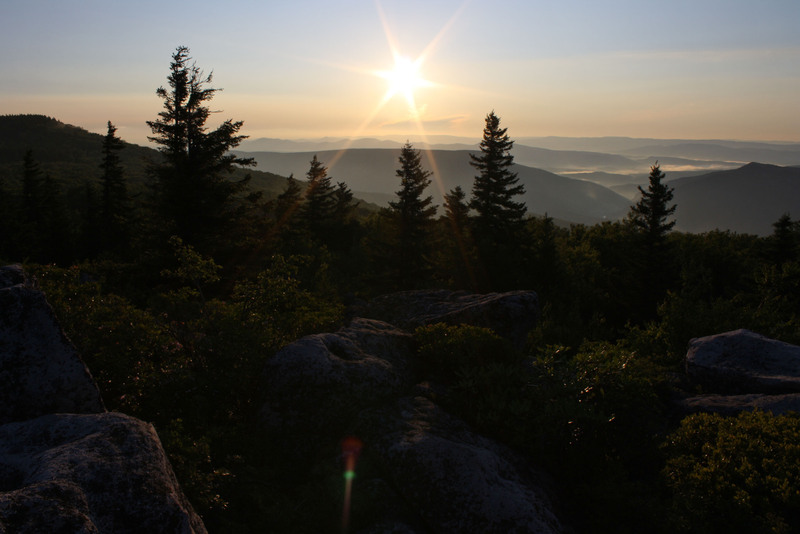 Starting in early June and throughout the short summer, the sights and smells of various flowering shrubs and wildflowers of the Dolly Sods high country are sublime. 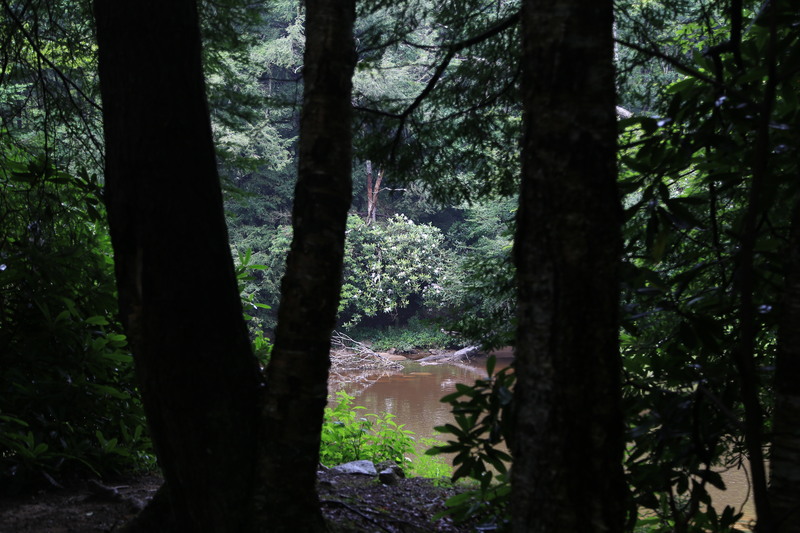 Of all the areas in the Alleghenies, this plateau, protected in perpetuity for future generations, is by far my favorite hiking ground and refuge. Just hope I don’t come across a rusted unexploded WWII artillery shell again. Yes it was just laying out in the open on the grassy bank of a small brook, I left it alone and alas never reported its position. That was 30 years ago. 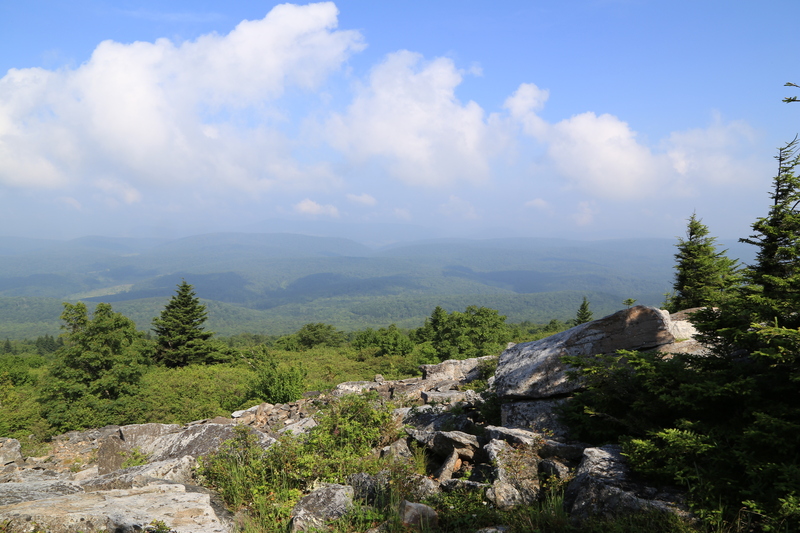 Looking east from Bear Rocks, Dolly Sods Wilderness Area. 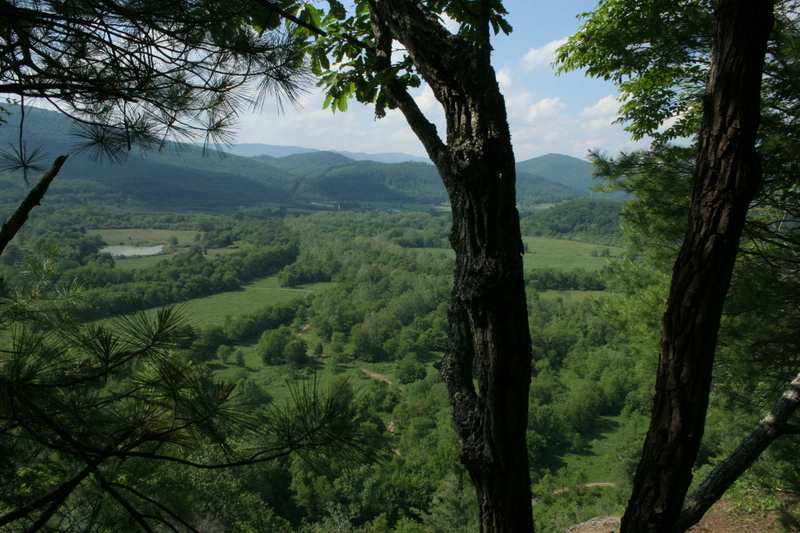 The South Branch of the Potomac River Valley flows between the last two ridge lines in the distance. Grazing pasture along Dolly Sods Road, @2,000 feet below the plateau. 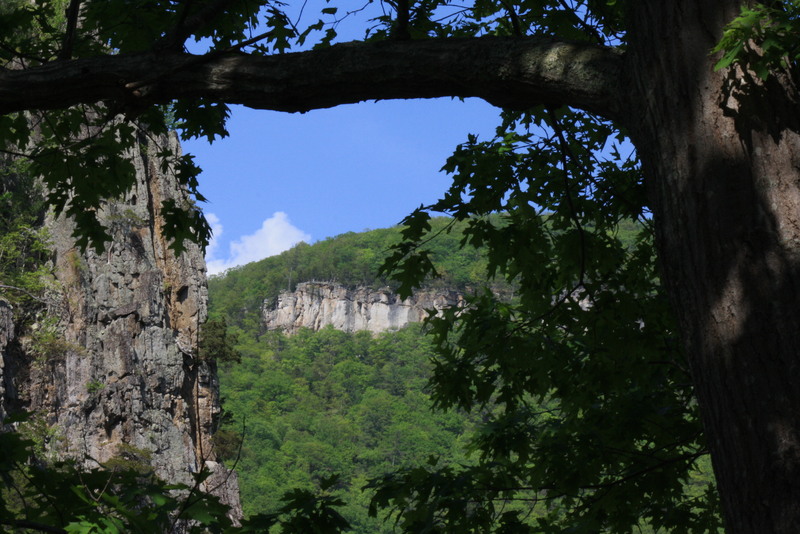 Champe Rocks, WV, as seen from the shoulder of Rt 28 near Seneca Rocks. 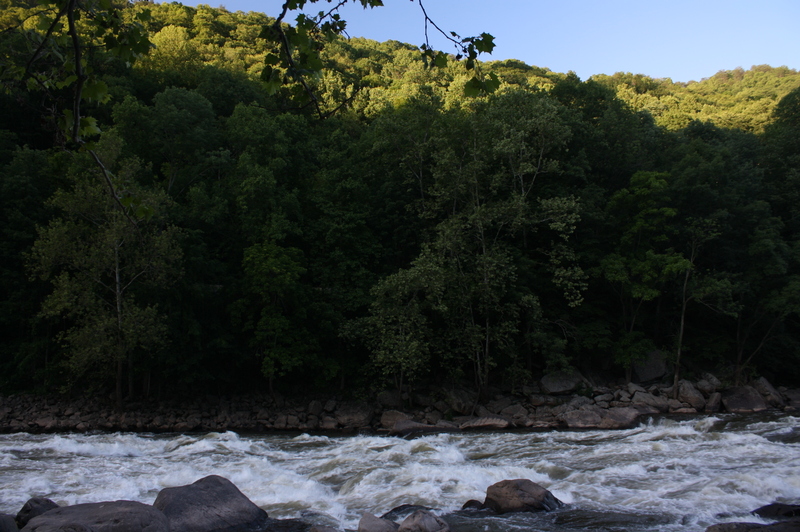 Named after Revolutionary War hero and spy, Sargent Major John Champe who settled nearby after the war, these craggy rock formations rise nearly 900 feet above the river plain of the North Branch of the South Fork of the Potomac River. 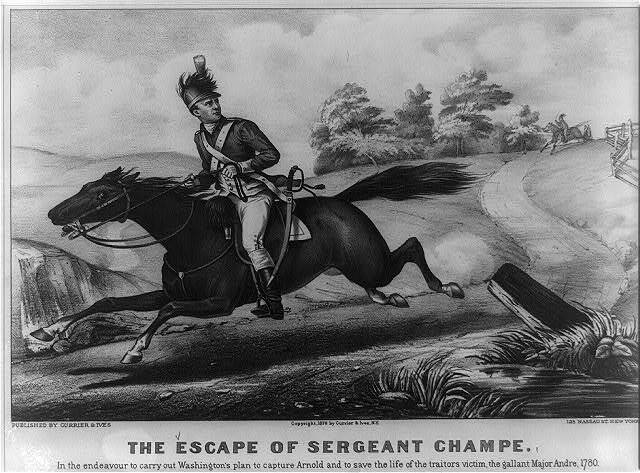 Champe was handpicked by General George Washington and Cavalry commander Major “Light-Horse” Harry Lee (General Robert E. Lee’s father) to embark on a secret mission, “an indispensable, delicate, and hazardous project,” as Washington called it, in which Champe would pass himself off as a deserter, infiltrate British lines and serve as a double agent in order to find out if any other high-ranking American commanders were involved in the treasonous activities of the hated General Benedict Arnold; and if possible, to kidnap General Arnold and bring him back to be tried for court marshal. There were a lot of American soldiers that wanted to get their hands on Arnold, Washington especially. The story of Champe’s “defection” and months serving as a double agent in the British army, all the while gaining much needed intelligence for Washington and the cause of independence, is a fascinating story of subterfuge, coolness, quick-thinking and above all else, courage. One slip up and he would be a dead man. He stood as good a chance of being killed by Redcoats as he did by the Continentals, after all, only Washington, Lee, and a few other staffers were in on the plan. Champe was able to get messages to Washington with the welcome news that there was no conspiracy or widespread mutiny in the works, a great relief to Washington who had no idea if Arnold might be just the first of many high-profile defections to come. 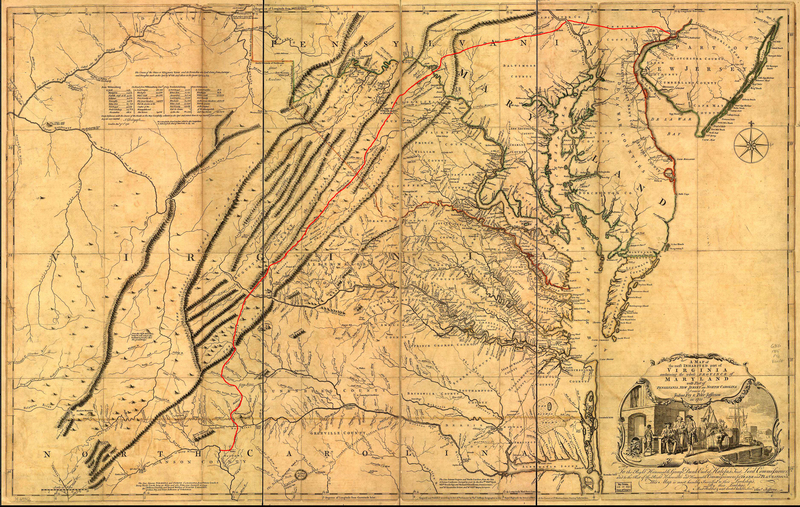 However the plot to kidnap Arnold was thwarted literally at the last moment when the British army, then based in New York, was suddenly ordered to Virginia for what proved to be the final campaign of the war. Sadly, the brave patriot struggled financially and lived in near poverty for the rest of his life. He died while briefly staying at Prikett’s Fort near the Ohio River in 1798 and was buried in an unmarked grave. In 1837, fifty years after the war and after several petitions by his family, his aged widow, Phebe Susan Barnard, now 80, was finally granted a government pension of $131 a year for her husband’s brave and selfless service. “the very man for the business.”, according to General Washington, not a bad endorsement. 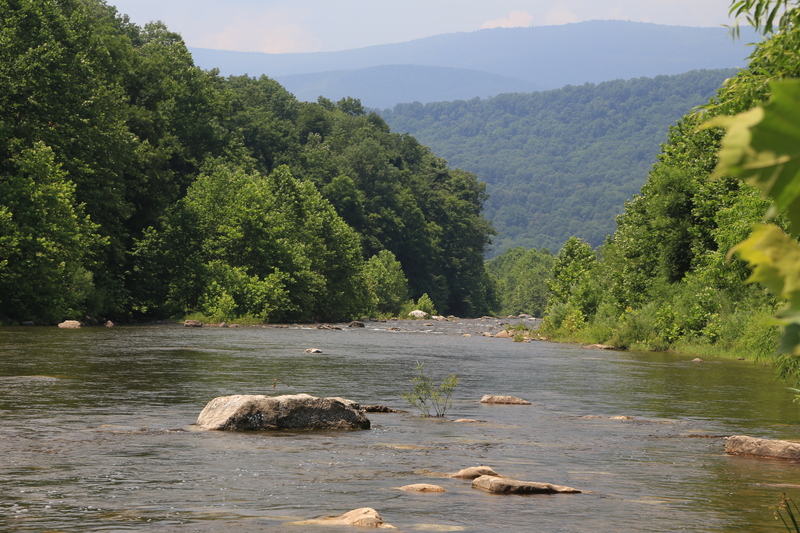 After the tempest has passed… a beautiful, hot sunny day at a lower elevation along the South Branch Potomac River near Old Fields, WV, superb place for a swim. 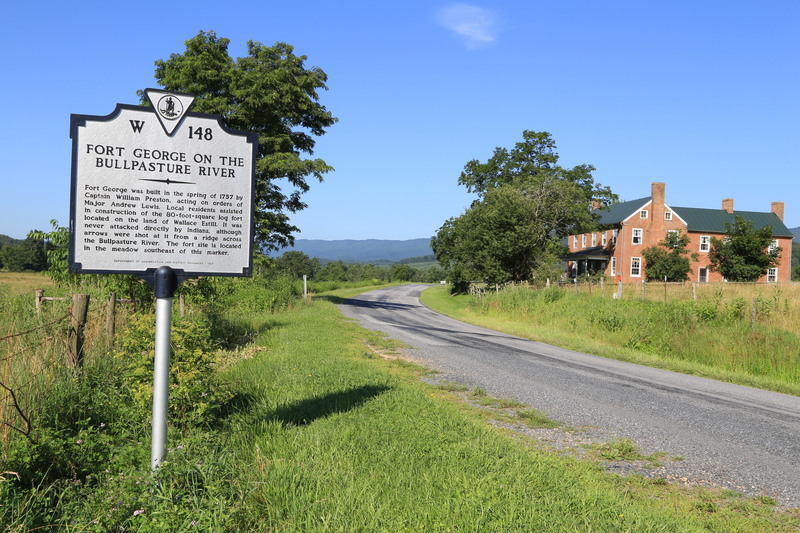 On March 23, 1747, a young George Washington, then engaged in surveying on the Potomac, witnessed a war dance by more than thirty Indians at the confluence of the North and South Branches, not far from here. 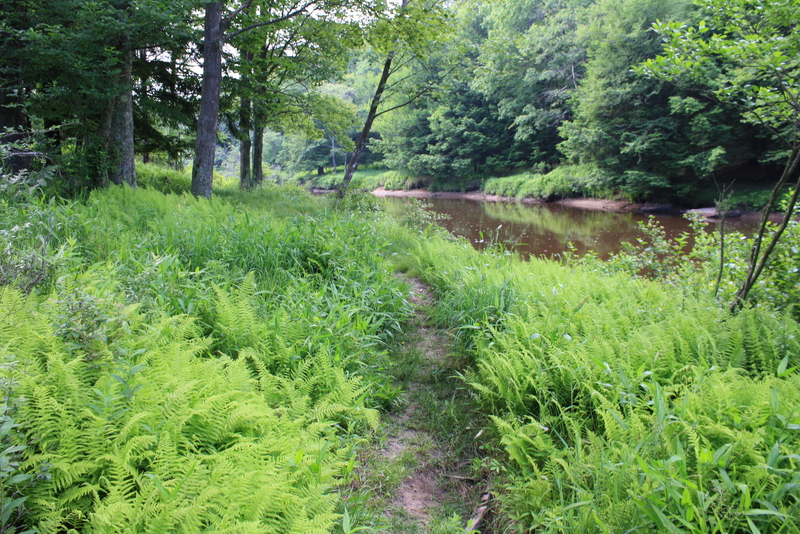 Trail beside Blackwater River, Canaan Valley. Only a few hours drive from Washington D.C. and yet this water eventually makes its way to the Ohio River, and thence to the Mississippi and the Gulf of Mexico. 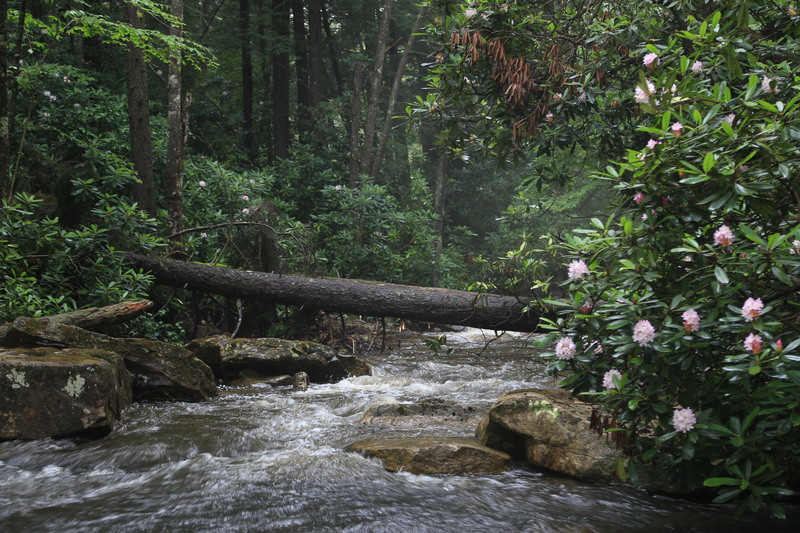 Originally most of its banks were covered in spruce and hemlock forest, hence the name blackwater, from the tannic acids that gave the water a dark, reddish-brownish color. 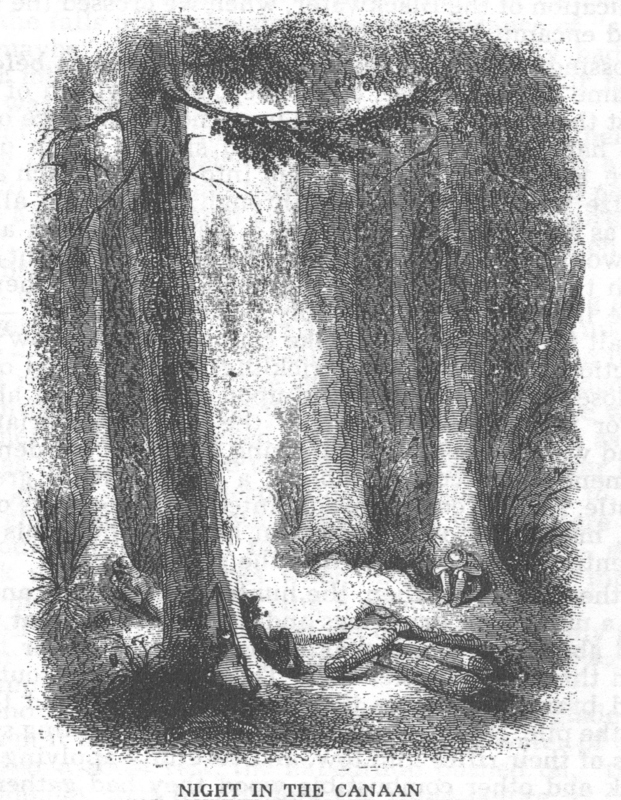 David Hunter Strother‘s 1853 engraving “Night in the Canaan”. 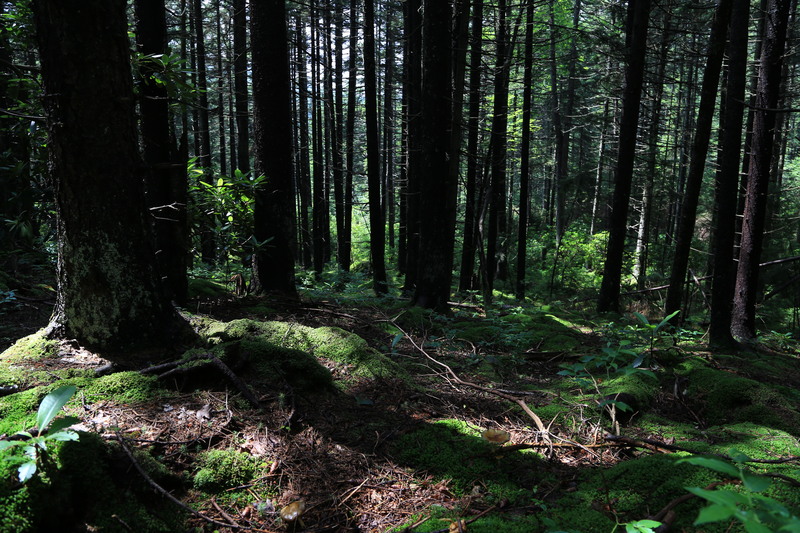 No trace of the great primeval red spruce forest remains today. 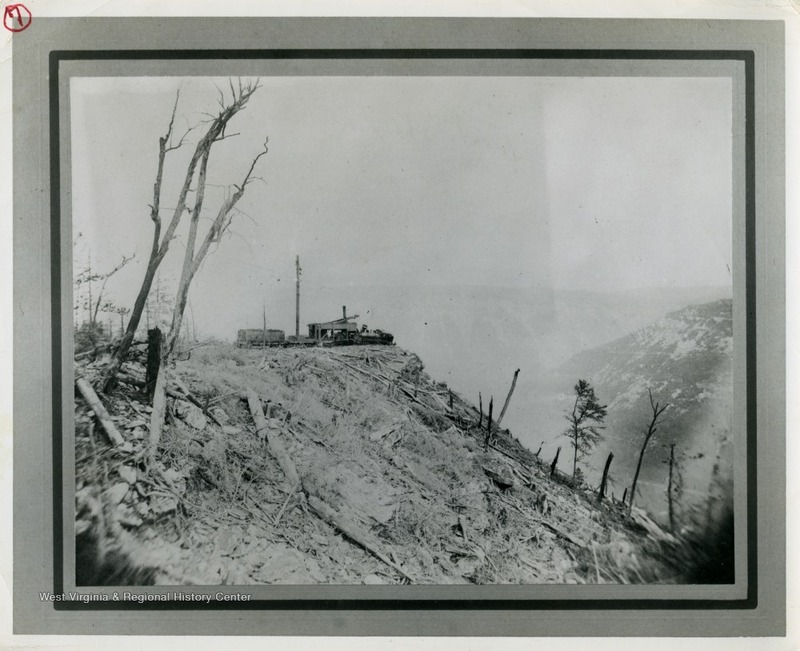 Title:View of Skidder Set in Blackwater Canyon, Tucker County, W. Va., ca. 1880-1930. 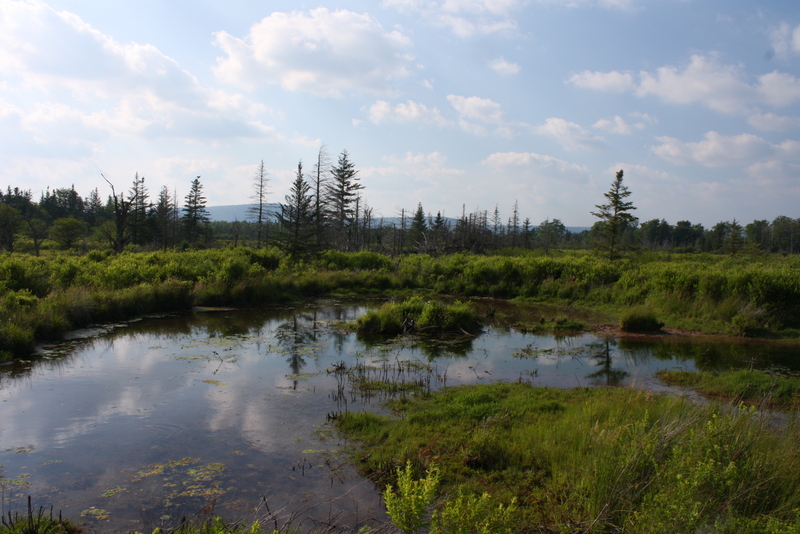 Description:This image is part of the Thompson Family of Canaan Valley Collection. 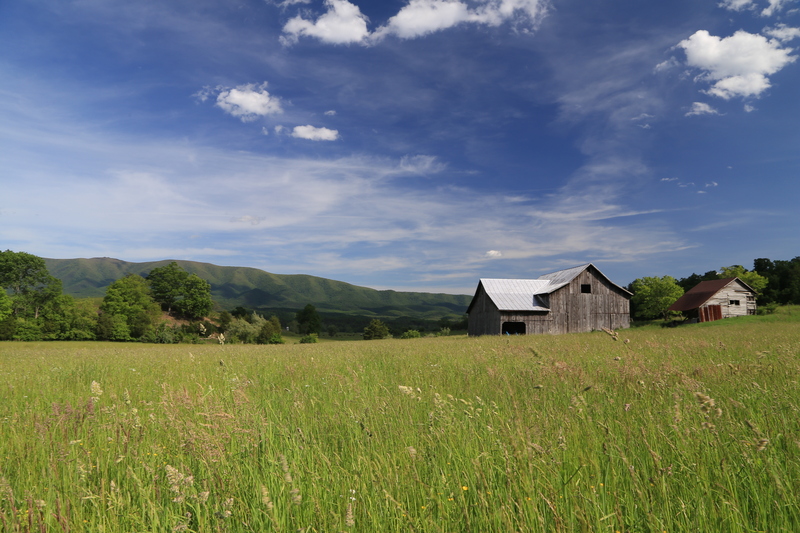 The Thompson family played a large role in the timber industry of Tucker County during the 1800s, and later prospered in the region as farmers, business owners, and prominent members of the Canaan Valley community. 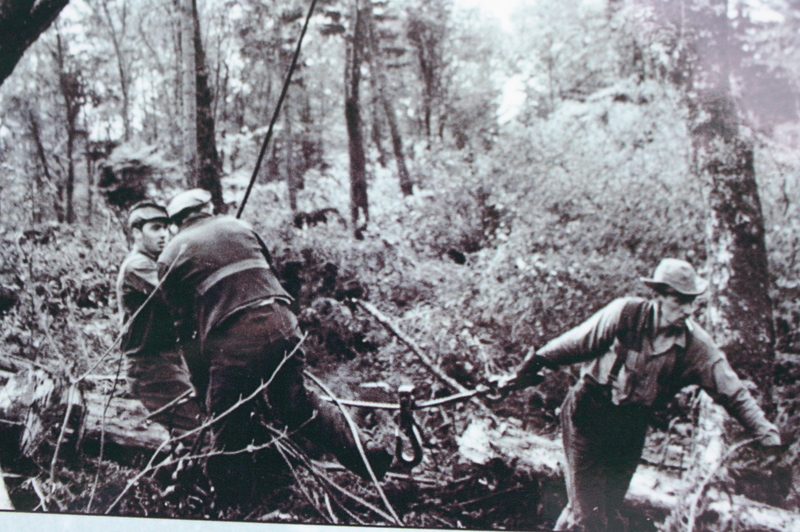 A skidder set, used for logging and lumber production, can be seen here overlooking the Blackwater Canyon. 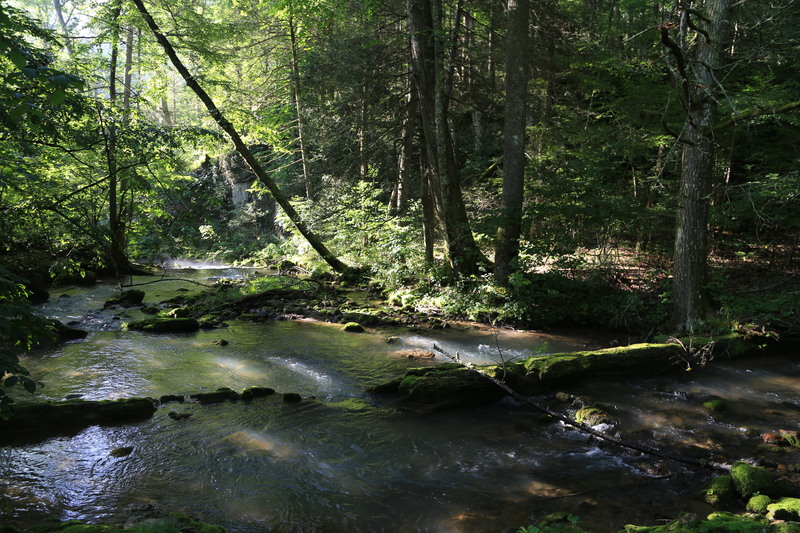 Nice reminder of why I drive all this distance to come here in the first place; just had to stop walking for a few moments as I passed thru this lovely glen, a cathedral of ferns and dappled sunlight, Ellerbee Knob Trail. 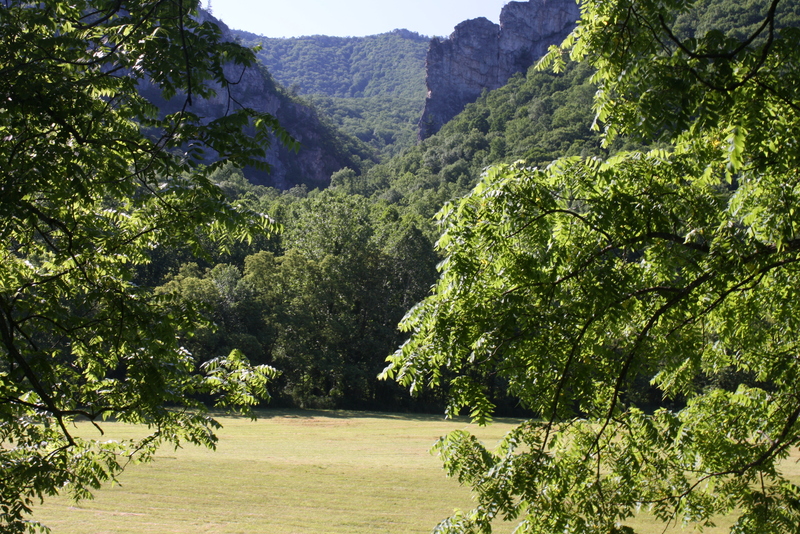 The first English-speaking men within the present limits of West Virginia were those composing the exploring expedition under Captain Thomas Batts. These, in addition to himself, were Robert Fallam, Thomas Wood, Jack Neasam, and Per-c-cu-te, the latter a great man of Appomattox Indians. 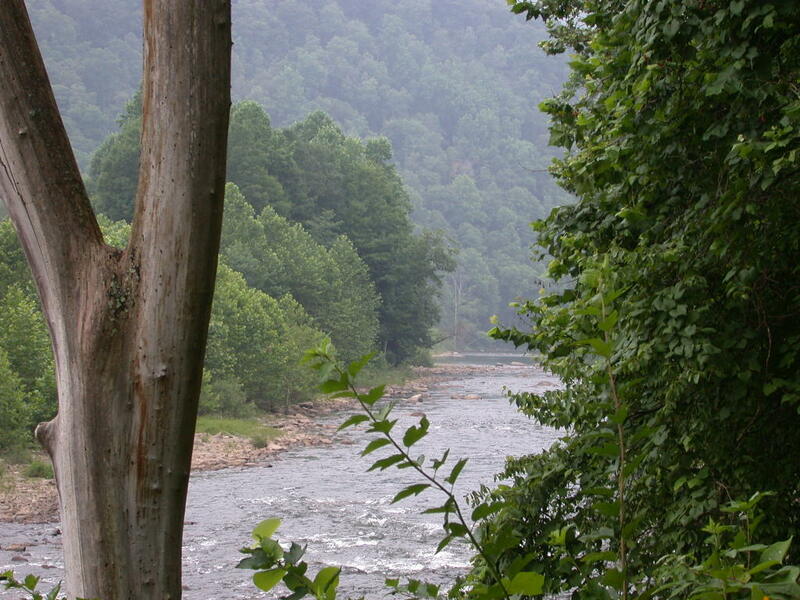 The party, acting under authority of a commission granted fourteen years before by the House of Burgesses — the Colonial legislative body of Virginia — to Major Abraham Wood: “For ye finding out the ebbing and flowing of ye waters on ye other side the Mountains, in order to ye Discovery of ye South Sea,” left Appomattox town, near the site of the present city of Petersburg, Virginia, on Friday, September 1, 1671, and toiling onward to the westward, crossed the Blue Ridge, thence over what is now known as Peter’s Mountain; and thence through the present West Virginia counties of Monroe, Summers and Fayette, until the 16th of September, when they “had a sight of a curious river like the Appomattox River in Virginia, and the Thames at Chelsea, in England, and broad as that river at Wapping, but it had a fall that made a great noise.” The party had reached the Great Falls of the Great Kanawha river, distant ninety-six miles from the Ohio. Here, on the 17th, they took formal possession of the region and proclaimed the King in these words: “Long live King Charles ye 2d, King of England, Scotland, Ireland and Virginia, and all the territory thereunto belonging; Defender of ye Faith, etc.” Guns were fired, and, with a pair of marking-irons, they marked trees; Ist, “C. R.01 (Charles Rex 1), for his Sacred Majesty; 2d, “W. B.”, for the Governor (Sir William Berkeley); 3d, “A. 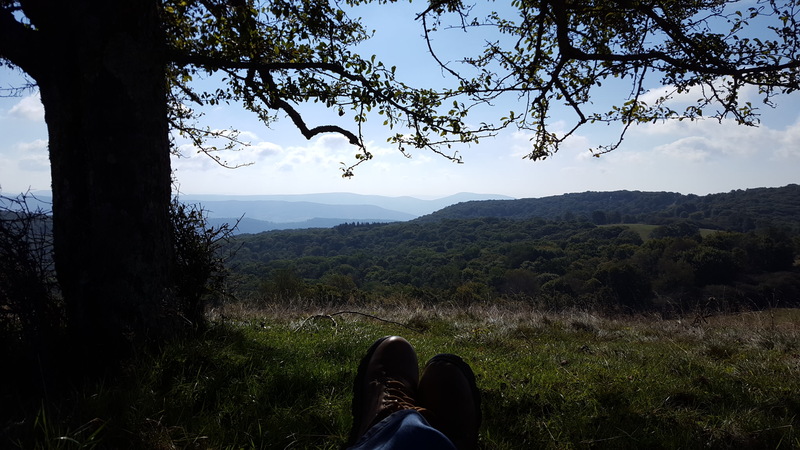 W.”, for Major Abraham Wood (promoter of the expedition); another for Per-c-cu-te (who said he would turn Englishman); and also another tree for each of the company. 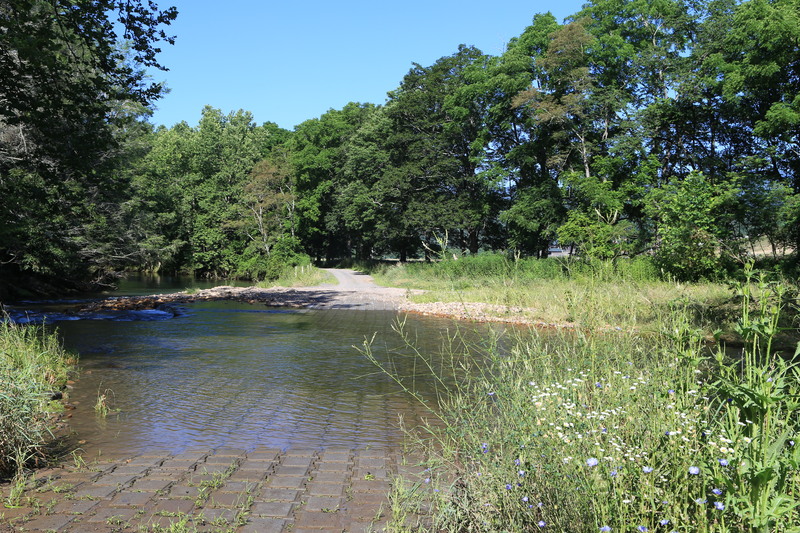 Then the homeward journey began and all arrived at the Falls of the Appomattox river on the first day of October, except Thomas Wood, who died on the expedition. – From: MYERS’ HISTORY OF WEST VIRGINIA, Volume 1, Chapter V, pages 51-67. Compiled by S. Myers, 1915. Published by The Wheeling News Lithograph Company. 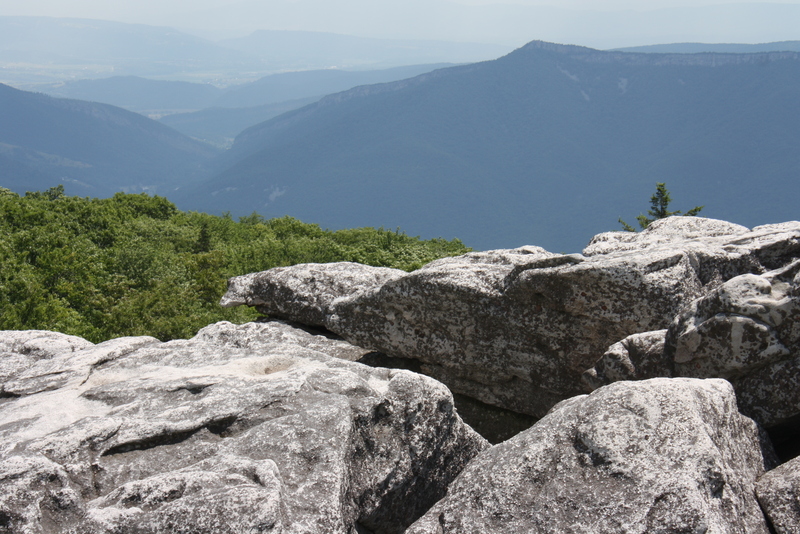 Rock slabs are a common feature of many ridge crests in the high Alleghenies. 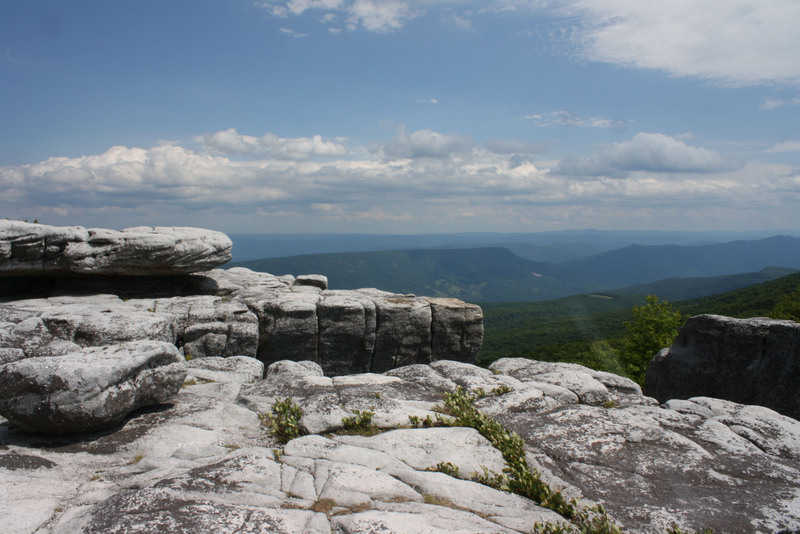 View is from Spruce Knob, highest point in West Virginia, elevation 4,863′. 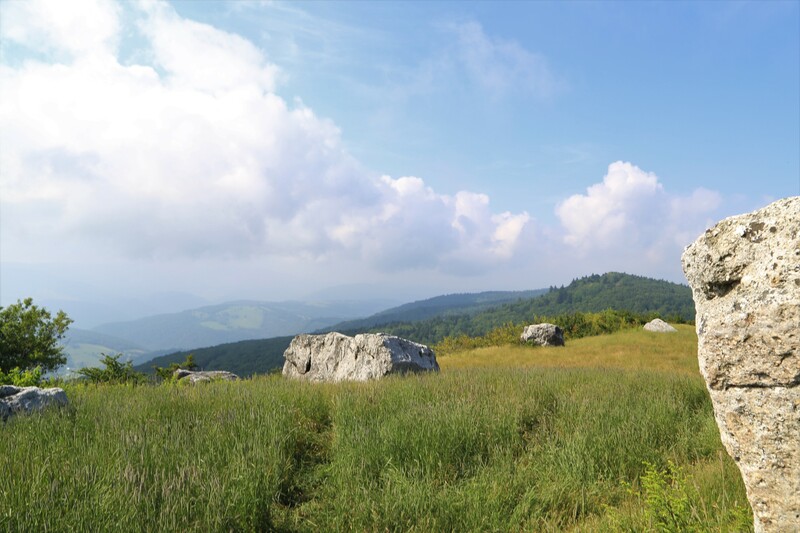 Boulder-strewn meadow on the slopes of Spruce Knob, view is looking south/southeast. 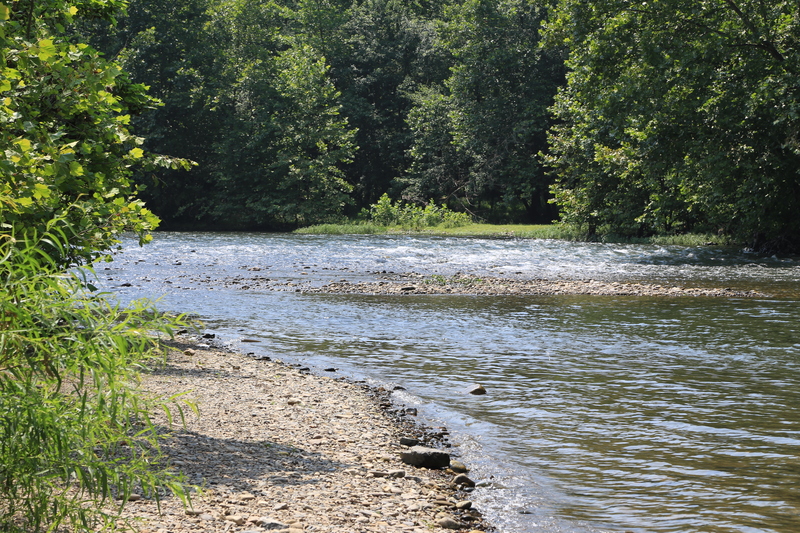 North Fork-South Branch of Potomac River near Cabins, WV., view is looking west (upstream). Rough-going here for walking in the river, most of the stream-bed is a jumble of rocks of all sizes, and the current is much quicker than it looks so caution is advised. 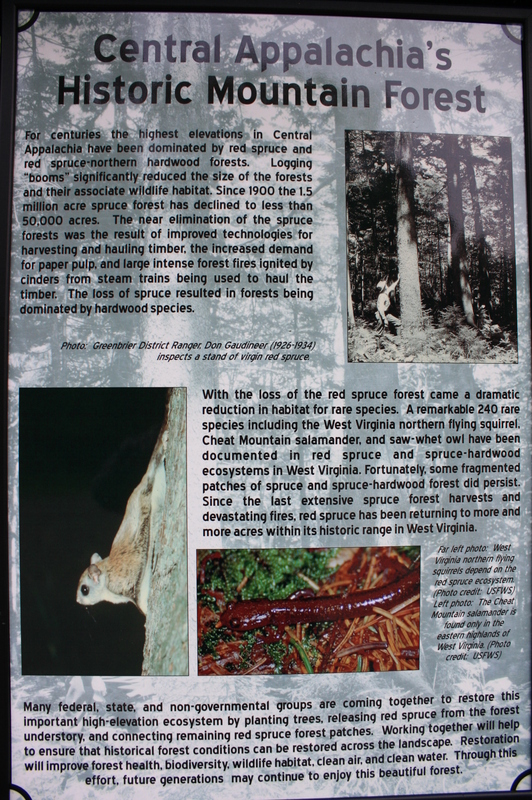 Posted in virginia, west virginiaTagged allegheny highlands, bullpasture gorge, champe's rocks, cheat mountain, dolly sods wilderness area, ellerbee knob, gaudineer knob scenic area, george washington national forest, major john champe, Monongahela national forest, Seneca tribes, shavcers mountain, Shawnee, south branch Potomac River, south branch south fork potomac river, spruce knob, virginia french and indian war, warm springs mountain, west virginia scenicsBookmark the permalink.